World To The West is the most recent offering from Rain Games, the studio behind the wonderful indie hit Teslagrad. While being a follow-up to its previous game in some ways (one of the characters can control electricity and magnetism just like in Teslagrad’s gameplay, for example), this new experience has actually taken things in a very different direction. 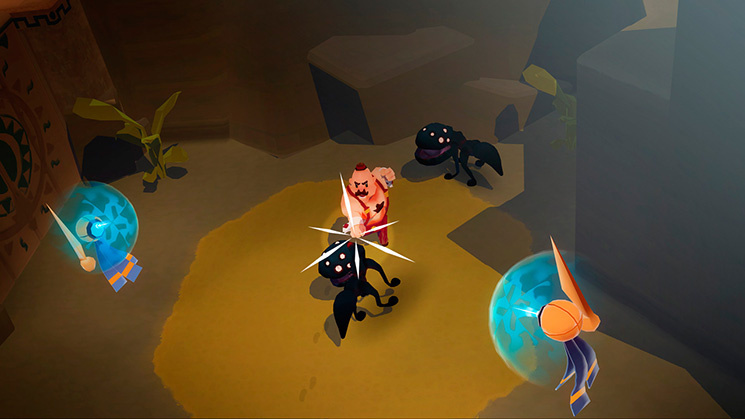 The core elements of this game still fall under the same genre category as Teslagrad – you solve puzzles to progress through numerous areas, employ a simple yet enjoyable combat system and come up against occasional bosses throughout your adventure – but it's all presented in a completely different way. The game Is very open and free, and rather than being restricted to narrow 2D rooms, this time around you explore a much larger 3D world that has a whole underground world waiting below it, too. The main change, however - and the concept that the whole game is essentially built around - is how you must combine the skills of multiple characters to progress. You often have at least two of the four available characters in your party at any given time and each of these can be used in different ways. One smashes through rocks and fights, one turns on switches and teleports short distances, one digs and uses dynamite and the other controls creatures in the field to complete tasks. You need to utilise the skills of each one to complete the story, and each of the characters feel equally satisfying to use. 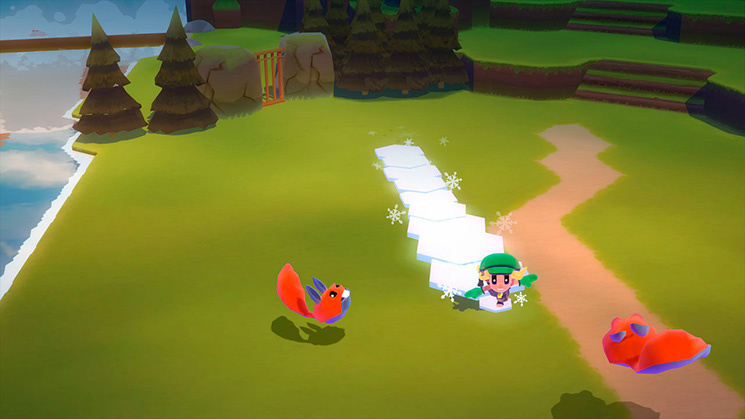 The game’s tasks will usually see you needing to reach a certain place on your map, often indicated by a pin. Although this point gives you an idea of the direction you’ll need to travel in, getting there isn’t usually as simple as it seems; areas on the map are obscured until you uncover them, and sometimes you'll need to discover pathways that are currently blocked to you. Most of the time you’ll find your way without too many hiccups but, if you do get stuck, you could end up being lost for some time. This is frustrating at times, but also reminds us of early Zelda titles and the like where you were really left to work things out alone. 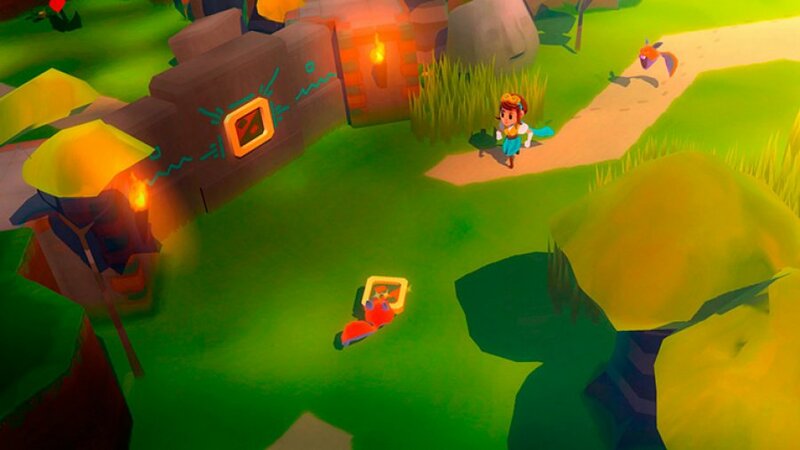 As you explore the game’s world you come across save points that also act as fast travel locations for your current character. This system is useful, and it should work wonders in theory, but each character only travels to points reached by that particular character on foot; if you spend 20 minutes reaching somewhere new, only to discover that you really needed to be one of the other team members, you have to warp back, and then travel across all that space again as the new one. Luckily, travelling around is enjoyable as each of the four characters, and switching between them is relatively simple. The first few hours of the game have you working your way through eight chapters, seeing the individual stories of your characters, before reaching a ninth chapter that suddenly allows the game to feel much more open and accessible. From this point on you can have access to all four of the characters at the same time, enabling you to explore the entire map. The pacing does feel a little off with these chapters on the whole; there are some great individual moments in those first few hours, but swapping between the characters’ stories can feel a little jarring and it all feels like a slightly drawn out build towards that ninth chapter. Things improve massively when you start to get a feel for each character and understand what is happening, but it can be a little confusing at first. WTTW looks good and performs well for the most part; the visuals aren’t especially striking, but the cute aesthetic works well for the style and humour present within the game, and the soundtrack is always filled with playful elements that suit the vibe. Some lengthy load times are a little obtrusive at times – if you want to explore great distances on foot quickly you'll definitely come across your fair share – but apart from that it runs very nicely and the controls always feel pleasingly responsive. 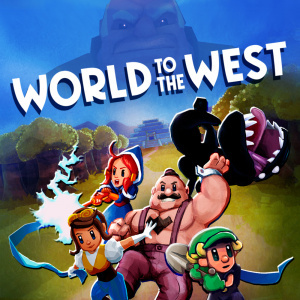 World To The West is a nicely put-together adventure game, making use of a good roster of characters with different abilities to provide the player with enjoyable puzzles and combat. 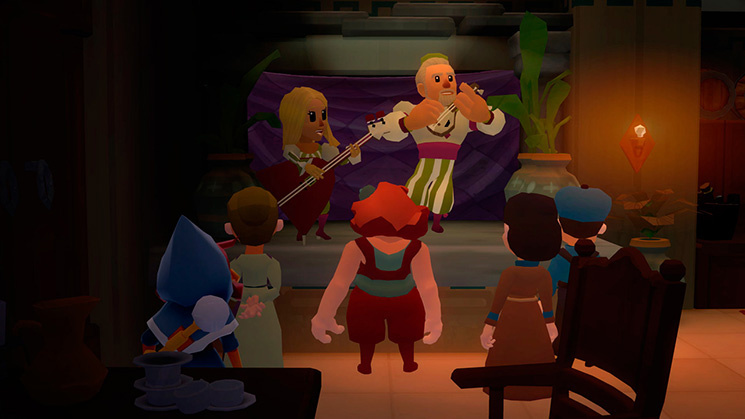 Some pacing issues and the odd niggle here and there prevent this game from being truly special but, if you are a fan of 3D adventure games full of humour and exploration-based puzzles, you’ll definitely have some fun here. Going to pass for now. I'll likely buy this for Wii U when it eventually releases. Lovely looking worlds...this is for me ! Is that Saiyuki clones ? Been waiting for this one! I'm eager to see what the Teslagrad devs have cooked up for a more open adventure game. Will grab down the road or on sale. Looks great, but my backlog is getting a bit much. On a console I've owned for 3 months. Smh. This one has me interested. Got it on PC from Humble B, not yet played it but greatly enjoyed Teslagrad so will get round to it! I was hoping a 8 or 9. 7 is great too. Teslagrad was awesome and im sure this game will be a bomb as well. Might look into this one whenever it's on sale. Dang, you guys give out a lot of 7’s. Me too, but that sadly won't happen. The game isn't officially canceled, but face it, it won't happen. Its to late. I really don't care for this art style. @ollibald Yeah that is pretty common with a lot of indie games from what I have noticed, it's why I like to watch videos of games. Sorry if I was a bit harsh, just my immediate reaction to the screen shots. There has been a number of games where I said the same thing and ended up loving it when I saw it in motion. Can't say I like the art direction very much, but it sounds like a solid adventure game. However nothing here sounds interesting enough to make it stand out over other titles to me. I actually love the look & overall style of the game, but eh, the slow pace was evident even from the videos I've seen. It just seems like a game that won't hold my attention. It's ok, the backtracking issue is my biggest complaint with it so far. @Tenakira I keep forgetting I can do that, lol. Thanks! It doesn't convince me... I'll save the money for when Steamworld Heist releases in Japan. The Rain Games team are awesome. I have had correspondence with them in the past and they have helped me tremendously. Teslagrad was a fantastic game so I will have no problem throwing down the small amount of cash they are asking for World to the West. I have been looking forward to this title for quite some time. Olli, Peter and team, if you are reading this, you guys rock and I will ALWAYS support your titles! I am tempted, but it seems like there is a lot of backtracking to do which I personally hate...I think I will pass on this one or wait for a bit sale later down the road.